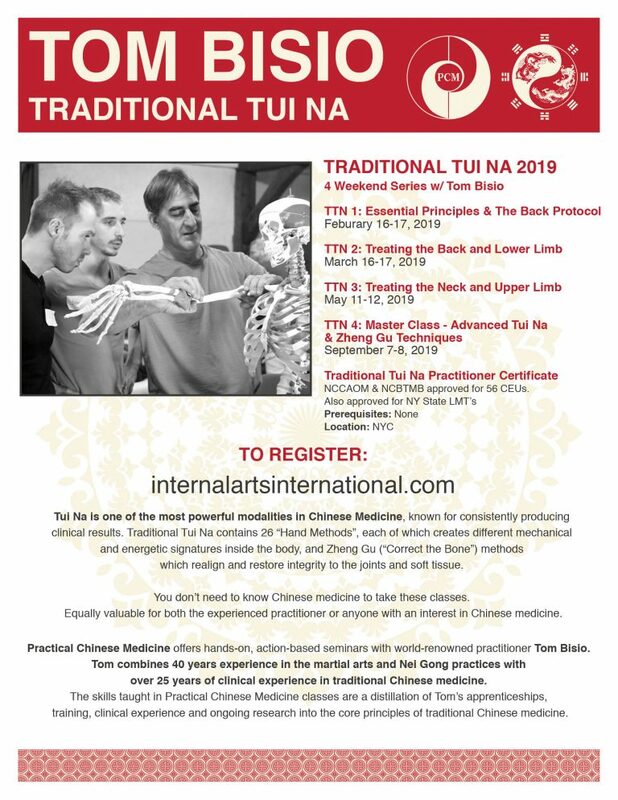 so we are offering a rare second series of Traditional Tui Na in 2019. Traditional Tui Na Practitioner Certificate. All classes taught by Tom Bisio.